CECA Wales periodically produces publications on a range of issues relevant to our members. 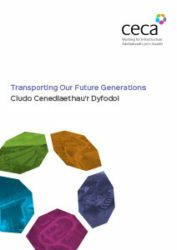 As we enter a brave new world in Wales, dominated by thoughts of the“Wellbeing of Our Future Generations”, how should the transport infrastructure sector respond to the challenges ahead? And how can the private sector support the public sector in their endeavours to think more about the long-term, to work better with people,communities and each other, looking to prevent problems and taking a more joined up approach? This review reflects on the last 12 months and how things have been for civil engineering contractors in Wales. It highlights how CECA Wales has sought to address the priorities of the membership over the last 12 months, how it has furthered the interests of civil engineering contracting businesses and how it has contributed to a more prosperous Wales through better infrastructure. Importantly this review also offers a glimpse of what the next 12 months could hold for the industry and our members. This bilingual review is produced in both Welsh and English. This report, which combines the skills, experiences and views from both public and private sectors across Wales, identifies 3 key procurement challenges faced by the sector in Wales and draws out 3 recommendations to address these challenges along with 3 areas for improvement. Mae’r adroddiad yn ystyried y 12 mis diwethaf a’r sefyllfa ar gyfer contractwyr peirianneg sifil yng Nghymru. Mae’n dangos sut y mae CECA Cymru wedi ceisio ymateb i flaenoriaethau’r aelodau dros y 12 mis diwethaf, sut y mae wedi hyrwyddo buddiannau busnesau contractio peirianneg sifil a sut y mae wedi cyfrannu at Gymru fwy llewyrchus trwy well seilwaith. 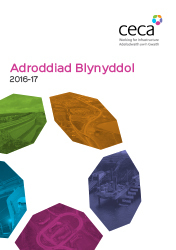 This report reflects on the last 12 months and how things have been for civil engineering contractors in Wales. It highlights how CECA Wales has sought to address the priorities of the membership over the last 12 months, how it has furthered the interests of civil engineering contracting businesses and how it has contributed to a more prosperous Wales through better infrastructure. This plan sets out the priorities for CECA Wales over the next 12 months, how it will further the interests of civil engineering contracting businesses and how it will support a more prosperous Wales through better infrastructure. Mae’r cynllun yma yn gosod allan blaenoriaethau CECA Cymru dros y 12 mis nesaf, sut y byddem yn ymestun buddiannau busnesau contractwyr peirianneg sifil a sut y byddem yn cefnogi Cymru mwy llewyrchus drwy seilwaith gwell.